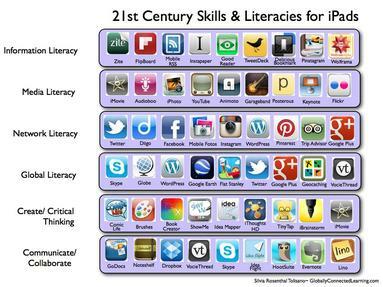 The term 21st century is used a lot in education (overused?) to refer to a more student centred approach to teaching & learning. It looks at the knowledge, skills and dispositions that students need now and in the future. 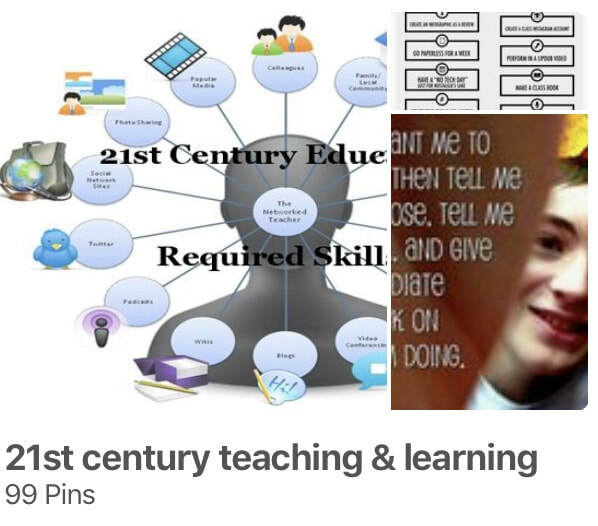 Click on the image below for a link to my Pinterest Board that focuses on 21st century educating and what this means for both teachers and learners. This is another term that is currently used a great deal in education. Click on the link to my Pinterest Board below for ideas that you can try if you are thinking of flipping your languages classroom. 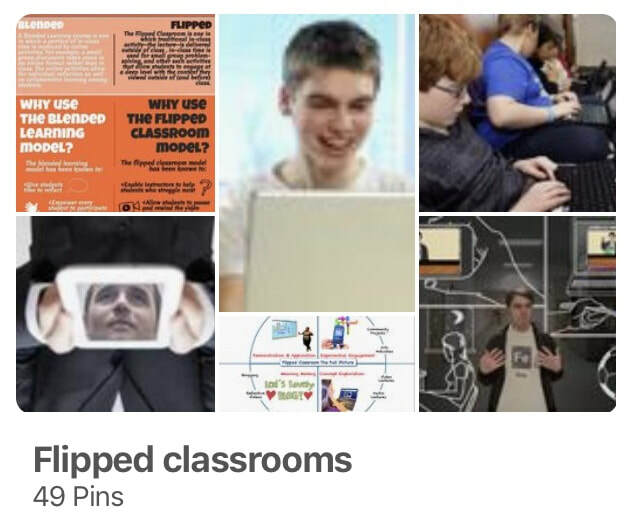 Click on the link to my Pinterest Board below for ideas that you can try if you are thinking of using Skype or creating a blog or web site with your students. Please let me know by email of dead links in any of the Pinterest Boards on this page. Project-based learning (PBL) is an approach to teaching and learning that engages students in rich and authentic learning experiences. PBL can be transformative for your teaching practice but requires strong, supportive leadership and a commitment to innovation and contemporary pedagogies. In a PBL environment, students gain knowledge and skills by investigating and responding to an engaging question, problem or challenge. A PBL learning and teaching framework addresses cross-curricula content and learning dispositions through rigorous, authentic, hands-on, interactive learning experiences. ​Check out the Pedagogy tab of this website for some rich learning tasks for students of French. The following Pinterest board contains links that also outline some of the principles and resources for PBL. Content and language integrated learning (CLIL) is an approach for learning content through an additional language, thus teaching both the subject and the language. CLIL is fundamentally based on methodological principles established by research on "language immersion". This kind of approach provides effective opportunities for students to use their new language skills now, rather than learn them now for use later. Students use their language in a purposeful context. The Centre for Advanced Research on Language Acquisition (CARLA) at the University of Minnesota focuses on content-based language teaching with technology. Their website has many useful resources for teachers. 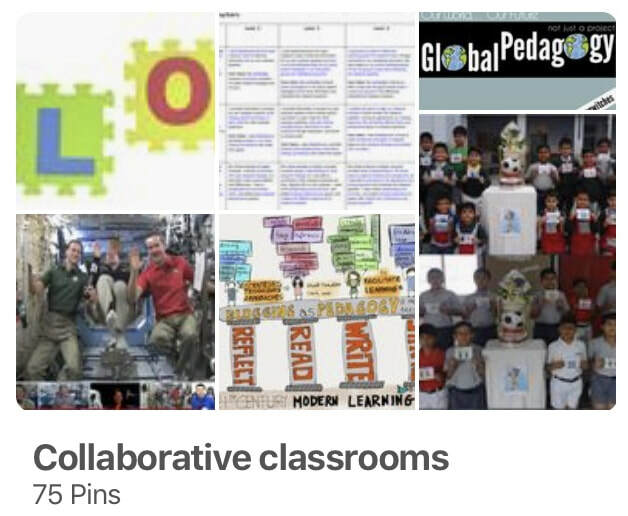 Check out my Pinterest board which contains a number of other website links related to CLIL. The Substitution Augmentation Modification Redefinition Model (SAMR) developed by Dr. Ruben Puentedura, offers a method of seeing how computer technology might impact teaching and learning. It also shows a progression that adopters of educational technology often follow as they progress through teaching and learning with technology. As teachers move along the teaching and learning continuum, computer technology becomes more important in the classroom but at the same time becomes more invisibly woven into the demands of good teaching and learning. Check out the Padagogy wheel by Allan Carrington in which he looks at Learning Design and its connections with attributes, capabilities and motivation through the SAMR model. 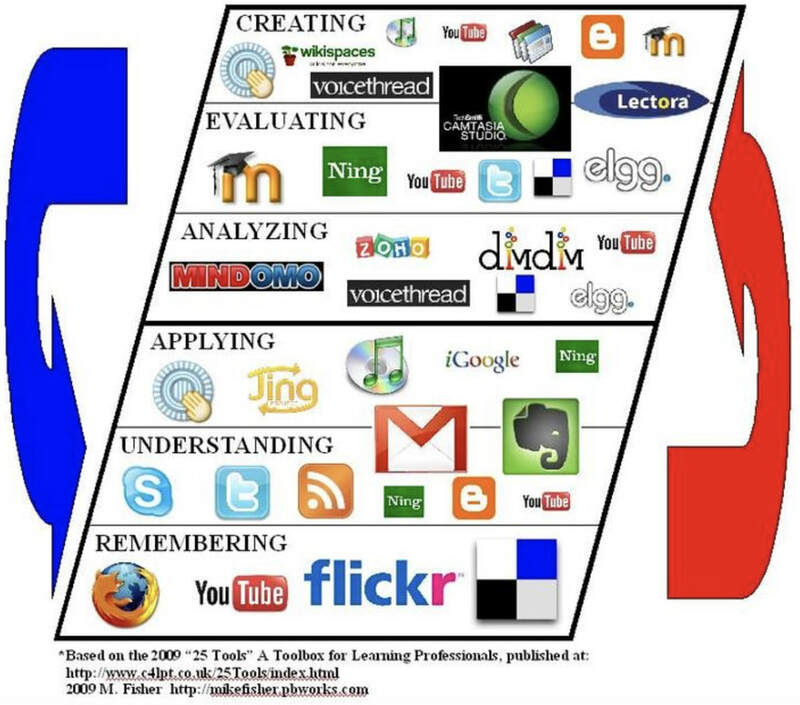 This Taxonomy is targeted at university teaching but is equally relevant to K-12 classrooms – Allan’s message for educators is don't jump into learning outcomes, activity design and choosing technology without first reflecting on student attributes and capabilities, then how to improve motivation and engagement. 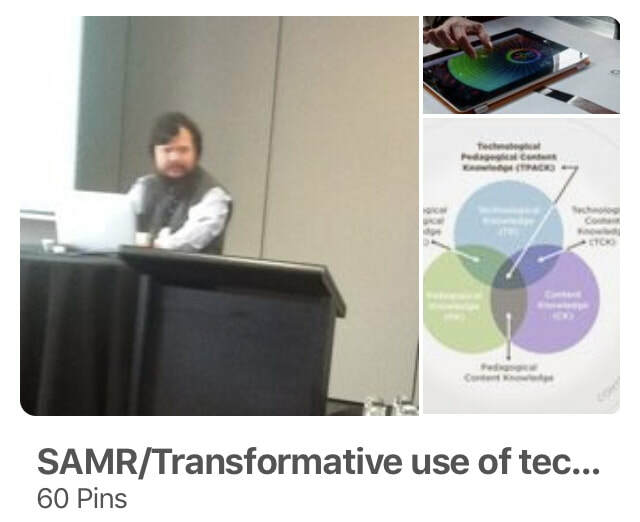 Click on the image below to access my my Pinterest board which contains a series of links related to SAMR and to the transformative use of technology in education in general. Wesley Fryer, has created a wonderful resource page called “Showing Media to the Curriculum”. Click on the link above to explore the different media. The image below is just a screen capture to whet your appetite! Wesley starts with the simple question: What do you want to create today? I like the way he focuses on the end product, defines its purpose and the skills involved and then outlines what tools you could use to achieve this. This reinforces my belief that it's not the tools themselves that are important but rather what you do with them. There are MANY practical examples in this resource that could be applied to the languages classroom to upgrade a traditionally taught lesson. 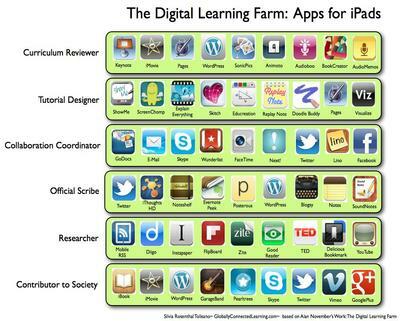 This Pinterest board reinforces the idea that the use of technology such as iPads must go BEYOND using apps to play games, replace worksheets and kill & drill activities, and have a focus on transformative and pedagogical use. 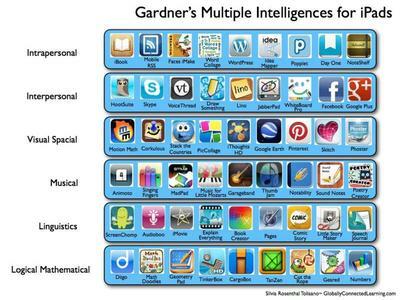 Here are some apps and web tools that address the objectives of Bloom's Taxonomy, Gardner's Multiple Intelligences and 21st Century Skills and Literacies to make them more relevant for today's classrooms. 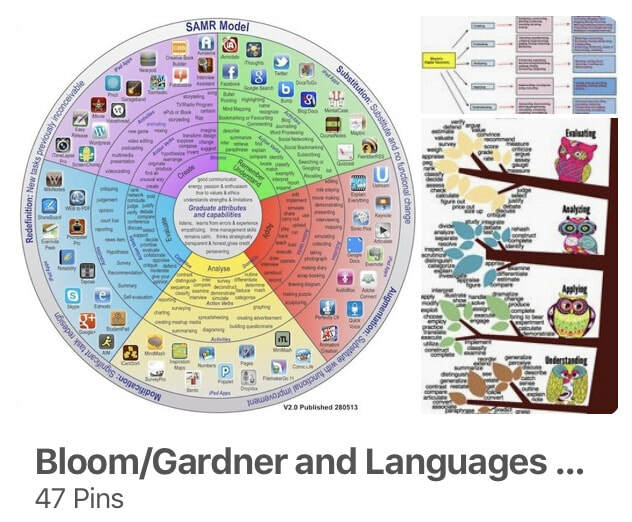 Click on the image below to go to my Pinterest board, which is a collection of website links related to Gardner's Multiple Intelligences and Bloom's Taxonomy. 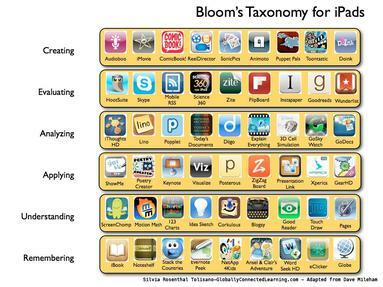 Kathy Schrock's Bloomin' Apps page includes suggestions for iPad, Google, Android, and Web 2.0 applications to support each of the levels of Bloom's Revised Taxonomy. The graphics contain clickable hotspots. The following image from the Visual Blooms wiki indicates that web tools can live on different levels and change levels, depending on their usage. The arrows are meant to indicate the fluidity with which the tools can travel through the different levels. The middle line is meant to separate the higher cognitive levels from the lower ones, but only with the understanding that it would be for that particular tool on a particular level, and does not consider the multiple ways that the tool could possibly be used.